The law impacts our lives in numerous ways, so there are numerous types of lawyers. Lawyers may be needed in good times (like when you are buying a house) and often in terrible times (like when a divorce is necessary). Some attorneys practice in all areas of the law (general practice lawyers), while others choose to specialize (experts). 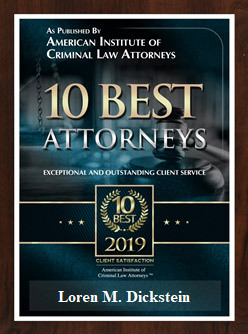 Because of our reputation as being among the top Michigan Criminal Defense Attorneys in the State of Michigan, we field calls from friends and family of prior clients and many others seeking our referral to a quality lawyer in another field of law. 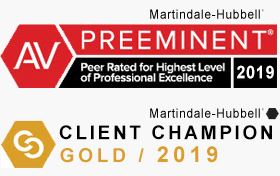 Over the years, we have had the opportunity to work with some of the best lawyers in Michigan in a variety of different fields. We’ve gotten to know which Michigan lawyers are the ones to avoid and which ones are reliable, honest and effective. Because we help find attorneys for those in need, we take referrals very personally and recognize that the lawyer we may recommend will ultimately reflect upon LEWIS & DICKSTEIN, P.L.L.C. That means we only refer those lawyers with a track record of success and who take very good care of their clients. If you are in need of a quality attorney referral in any area of practice, please call us and ask for Loren M. Dickstein or Randy M. Lewis at (248) 263-6800 or fill out a Request for Assistance Form and we will promptly contact you. We will find a way to help you! Family Lawyer or Divorce Attorney: These lawyers deal with relationships between family members; issues in family law include marriage contracts (prenuptial and postnuptial agreements), divorce, child custody, and adoption. Probate Lawyer: An attorney who deals with the probate court and help people deal with life planning issues and death issues. Such an attorney will handle wills, trusts, estate planning, guardianships and conservatorships. Immigration Lawyer: These lawyers deal with federal laws that control the entry of non-citizens into the United States; immigration lawyers assist clients in applying for entry, residing in the country and becoming citizens. We deal with many Michigan immigration attorneys on issues that arise due to criminal charges and crimes of moral turpitude. Labor Attorney and Employment Lawyer: These attorneys deal with the rights and obligations of employers, workers and union members; lawyers may advise management, labor or government on issues such as employment standards, workplace health and safety, and industrial relations. Most often employment attorneys are asked to help employees who have been wrongfully terminate or are being discriminated understand their rights and pursue litigation against the offending business. Real Estate Attorney: These lawyers help commercial and residential clients with the purchase, sale, financing and development of land and buildings; real estate lawyers may work for developers, tenants, investors, banks or corporations on matters relating to residential or commercial real estate. They are often hired to help review closing documents and help private parties through the process of closing on and purchasing a new home. Tax Attorney: deals with the taxes levied by different levels of government; Michigan tax lawyers may advise corporations on tax strategies and implications of business transactions, or counsel individuals on matters such as legal wills and estate planning. Intellectual Property Attorney: intellectual property lawyers deal with the ownership rights to certain kinds of creative endeavors; intellectual property law protects ownership through copyrights, patents, trademarks and industrial design registrations. Corporate Lawyer and Commercial Attorney: deals with the formation and maintenance of businesses (corporations, partnerships and limited liability companies); corporate and commercial lawyers handle contracts, liability, mergers, structured financings and other business matters. They also work with businesses to help resolve disputes, patent issues and trademark matters. Constitutional Attorney: branch of public law dealing with powers of the federal government and the division of powers between the federal and provincial governments; constitutional lawyers handle issues such as equality rights, civil rights violations, and freedom of speech or expression. We hope to hear from you and to have the honor of assisting you in finding an attorney who will genuinely, zealously and faithfully help you.